Welcome to the Clay Haus. 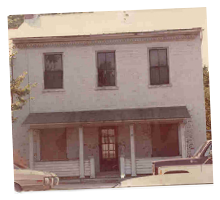 In 1978, Betty Snider purchased an old house, with a vision; an early 19th century house restored and opened as a German American restaurant, named for her father, Clay. Betty and her family, husband Carl (who owned a painting and redecorating firm) and children began the renovation process. Before the renovation began, the Snider's started tearing down partitions and digging out the basement floor. The basement floor had to be dug out another 12 inches to gain needed room height. The hard task, accomplished by hand labor, yielded surprises. They discovered animal claws, jawbones, Civil War buttons and bullets and other artifacts. "We think maybe a log cabin existed on this site and the bones are from an open fire place" states Betty. The items are on display for patron viewing. 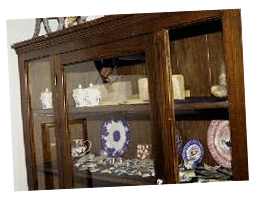 These objects weren't the only surprise discovered in the basement. The room, it's front wall facing Main Street, contained full size framed windows and a wooden door; all opening into a solid wall of foundation stones and bricks. According to Betty, all the homes along Main Street have the same phenomenon in the basement front room. The rooms may have once been the front room in the house, which opened directly on to the street. 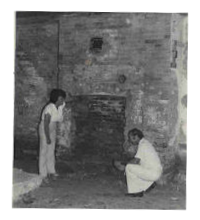 Later the street was filled in with stone and bricks making the second story of the house the street level entrance. The main level and entrance of the Clay Haus give the visitor warmth upon entering. 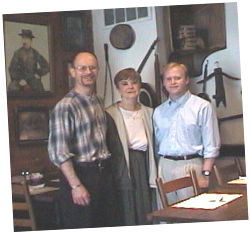 It's walls are decorated with Pennsylvania Dutch antiques, paintings, and memorabilia which boast of a time long ago - captivating one's interest to tour the entire establishment. It is obvious Betty Snider and her family have put a great deal of work in to maintaining this restored early 19th century home for their visitors. 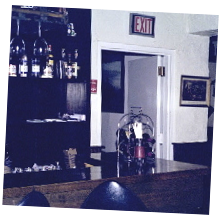 In the lower level, you will find the Tavern area and another dining room. 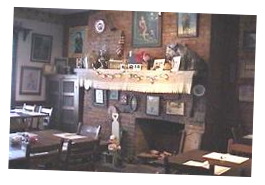 Each of the dining areas within the Clay Haus has an old stone hearth. The basement floor has been finished with inlaid brick. As you enter the lower level dining area, you will see the original door entrance and windows restored as if they were still at street level today. 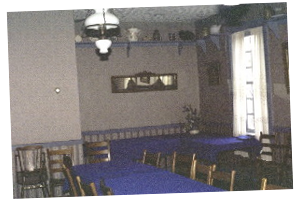 The Blue Room in the second story of the Clay Haus is another dining area. 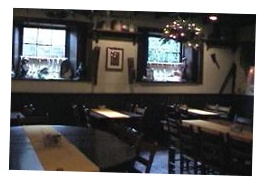 This area is often reserved for parties, special occasions, or any large groups coming to the Clay Haus to dine.